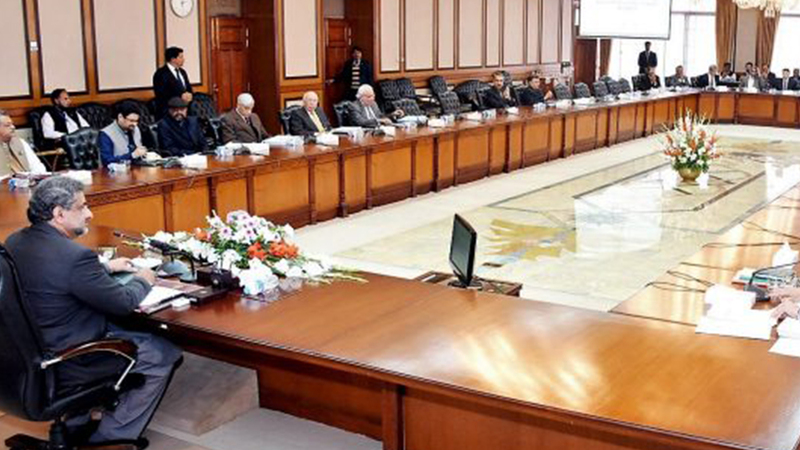 ISLAMABAD: A meeting of the Executive Committee of the National Economic Council (ECNEC) at its meeting here on Tuesday approved phase three of overseas scholarship scheme for two thousand doctorates in different fields at a cost of Rs22.21 billion. The meeting was chaired by Prime Minister Shahid Khaqan Abbasi. It approved 220 KV Mastung Substation along with 220 KV Sibi-Mastung-Quetta-Loralai Double circuit transmission lines at a cost of $14.15 billion. Modified PC-II for purchase of land for Pakistan Institute of Development Economics in Islamabad was approved at a cost of Rs3,519.47 million. In the social sector, a project for the establishment of a centre of Neuroscience at Pakistan Institute of Medical Sciences Islamabad was approved at a cost of Rs7284.802 million. The committee approved devolved vertical programs in the health sector in Punjab, Khyber Pakhtunkhwa, Sindh and Balochistan at a cost of over Rs131,786 million. These programs include national maternal, neonatal and child health program, national program for family planning and primary health care, national tuberculosis control, PM Program for Prevention and Control of Hepatitis, rollback Malaria program, National Program for prevention and control of avian, Pandemic influenza and blindness. The meeting approved phase two of Sindh Barrages improvement project at a cost of Rs16.66 billion. The project involves rehabilitation and modernization of Sukkur Barrage. It also approved 4th revised PC-1 of Neelum Jhelum Hydroelectric project at an updated cost of Rs506.808 billion. The meeting approved the acquisition of land for Railway Corridor at Gwadar. 2nd revised PC-1 for construction of Drawat dam project at a revised cost of Rs11.76 billion was also approved by the ECNEC. The meeting also approved the revision in the cost of construction of 184 kilometre long Faisalabad-Khanewal Motorway project at a cost of Rs60,823.66 million.